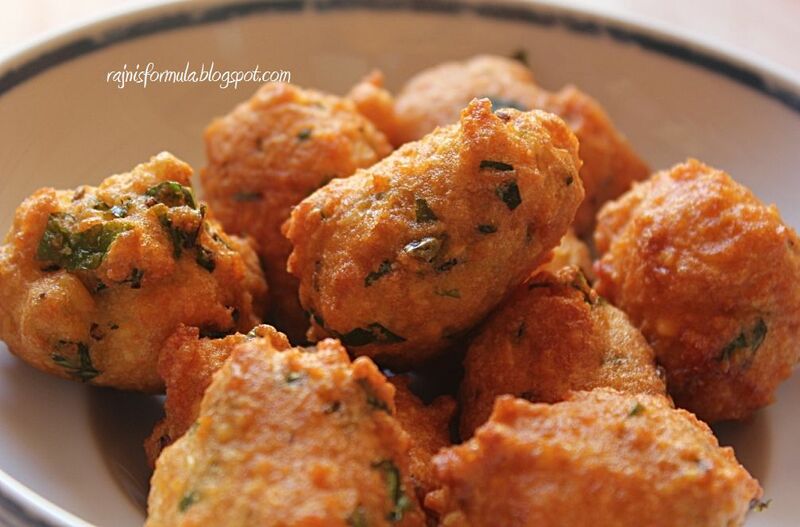 A tasty and crispy snack that will cure your craving for fried food. Soak 2 cups of Moong Dal or Yellow Split dal for 2-3 hours. Moong dal absorbs water very fast. So 2-3 hours is more than enough for it to be soaked well and ready to be ground. 1. Drain water from the soaked Moong Dal and coarsely grind with minimum water or no water. 2. Transfer into a bowl and add cumin seeds, coriander leaves, curry leaves, green chillies, salt, baking soda, asafoetida. Mix well. 3. Heat oil in a pan. Drop small portions of the mixture into hot oil and fry till golden brown. 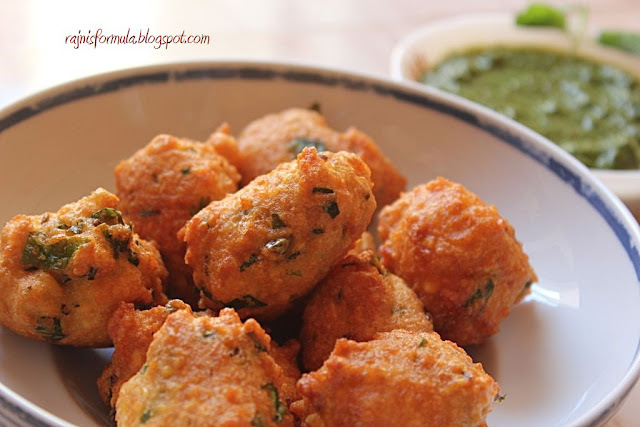 Moong bhajji or pakoda is not shaped into perfect circles, just drop a rough round portion into the oil. 4. For a variation, add some chopped onions to the mixture. But do so just before you fry, because onions leave out water if the batter rests. Hence add onions, mix and fry immediately. 5. Serve with any chutney of your choice. 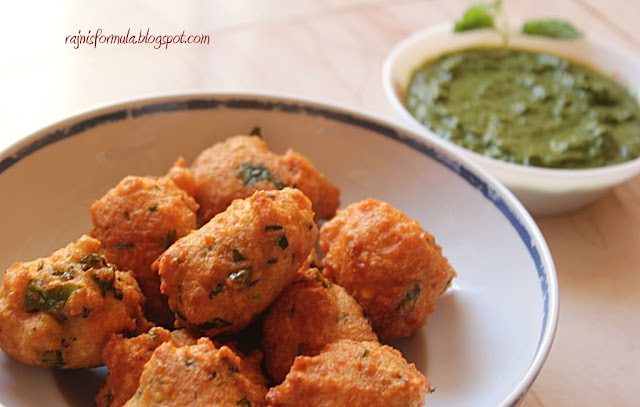 Moong Bhajji/Bhajiya is a slightly hard snack if compared to Medu vada. Which is why we add Baking soda and it helps to make the bhajiya soft and fluffy.